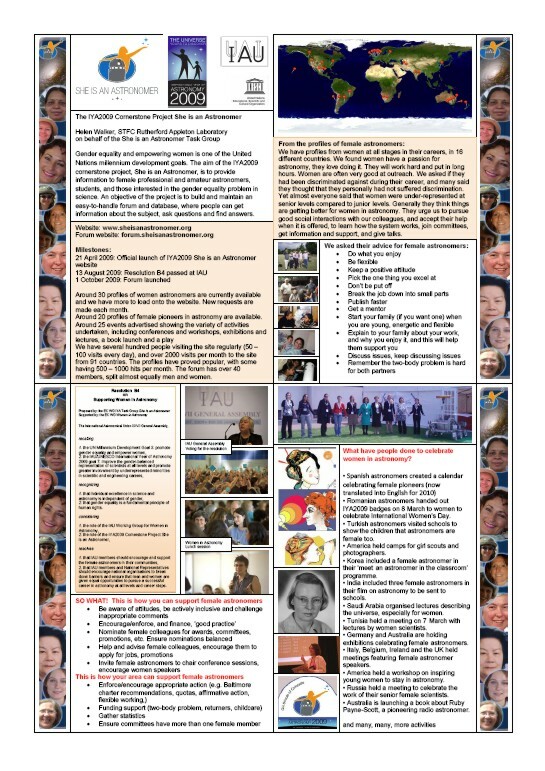 We are compiling material in this section to support 'She is an Astronomer'. 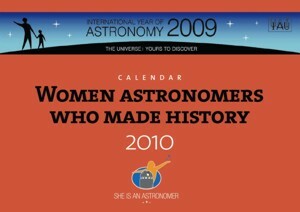 If you would like to be reminded throughout 2010 of the role that women have played in astronomy through the ages, you can download the 'She is an Astronomer' 2010 calendar here (versions in Spanish and English). More from the spanish She is an Astronomer team, including tv programmes, radio podcasts and exhibition information can be found here.